The time has most definitely come for comfort food. Large bowls of fabulous, spicy concoctions, to be enjoyed as the rain pours down the windows and the evenings roll in. Ideally there should be a log fire involved, although if I started one in my flat I fear that my service charge would increase exponentially. 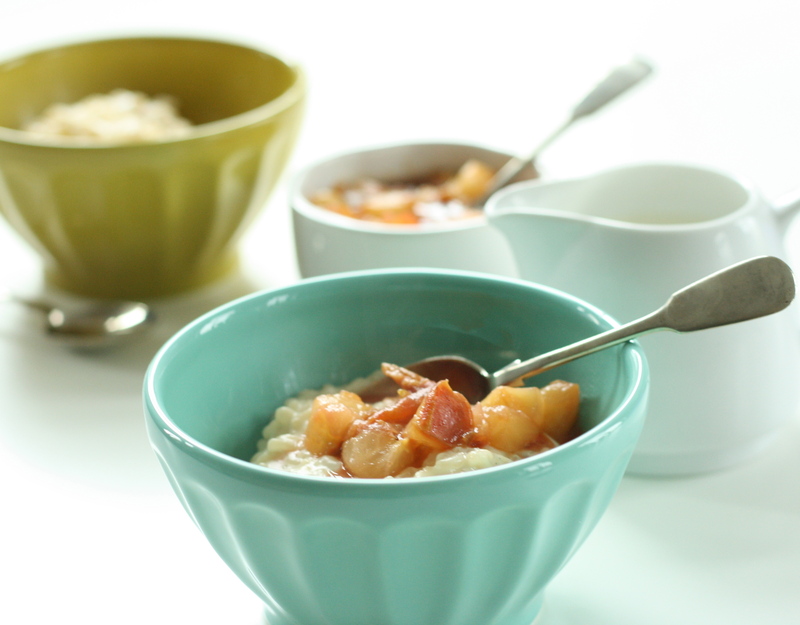 Rice pudding has always had a place in my heart, but I’ve never made it, having assumed that it would take hours to cook and being, essentially, lazy. 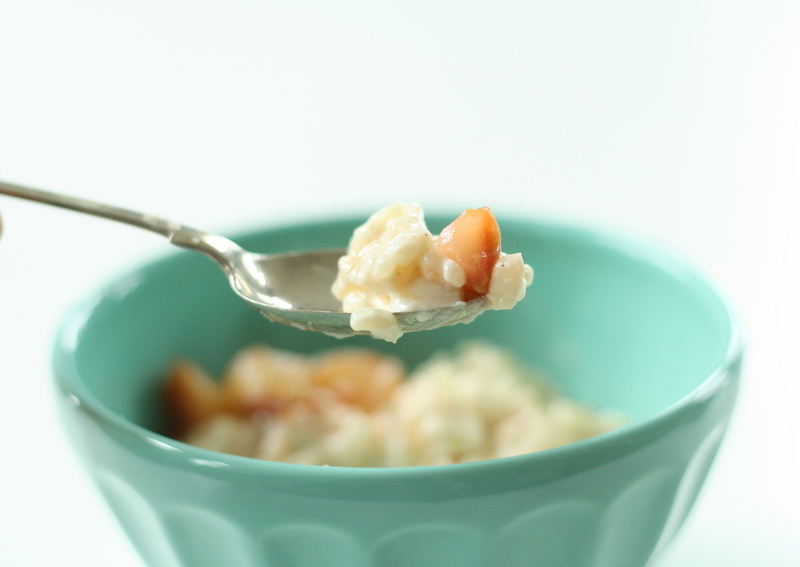 But recently, Joy the Baker and Tracy Shutterbean have shown me that it’s possible to make a completely amazing rice pudding in only half an hour! This was a total revelation to me and this weekend I finally got round to testing out the recipe. Let me tell you, I’m glad I did! 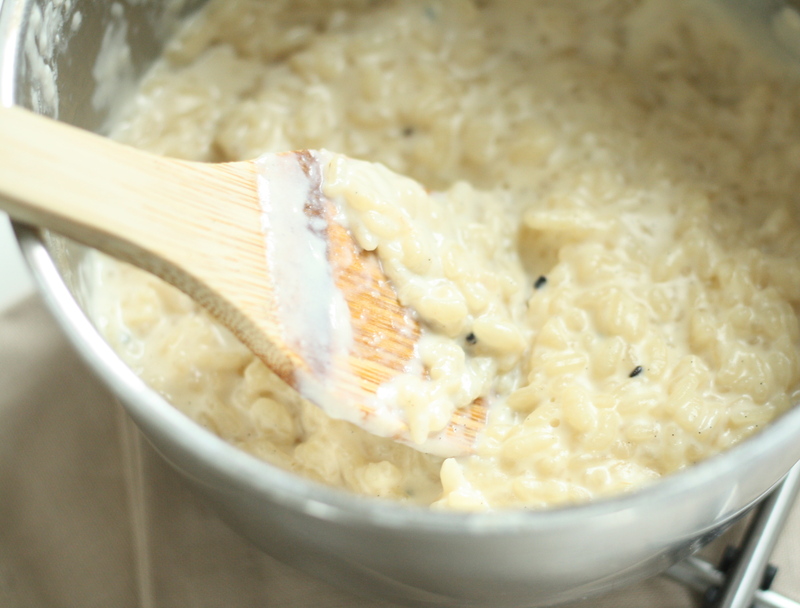 The key is to replace the usual pudding rice with risotto rice, which cooks much faster but still has the requisite starchiness to make the pudding beautifully creamy. Cooking the rice for half an hour retains some of the bite, resulting in texture perfection. I added a little cardamom into the mix, as it works great with any creamy pudding. It’s subtly fragrant and together with a little vanilla it makes for a perfectly flavoured pudding that feels, just a little bit, fancy. Don’t we all need a little fancy in our lives from time to time? 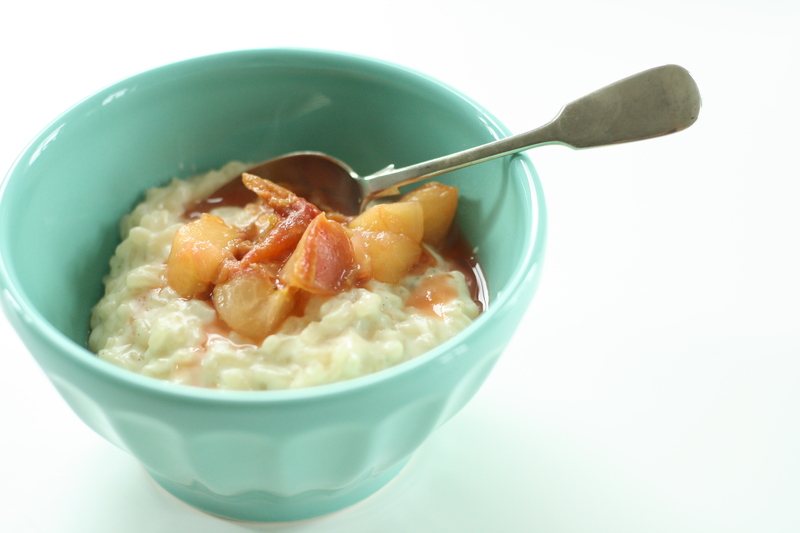 Although this rice pudding is gorgeous on its own, or with a delightful blob of strawberry jam, we’re continuing our fanciness with some nicely spiced and stewed plums. I love an English plum and this particular variety is called Marjorie which endears them to me even more! If you can’t get hold of Marjorie (!) any variety should do the trick. You could also try a different type of stone fruit, like peaches or cherries, depending on what’s in season. The plums are spiced with liquorice-like star anise and cinnamon, giving them a truly autumnal fragrance. 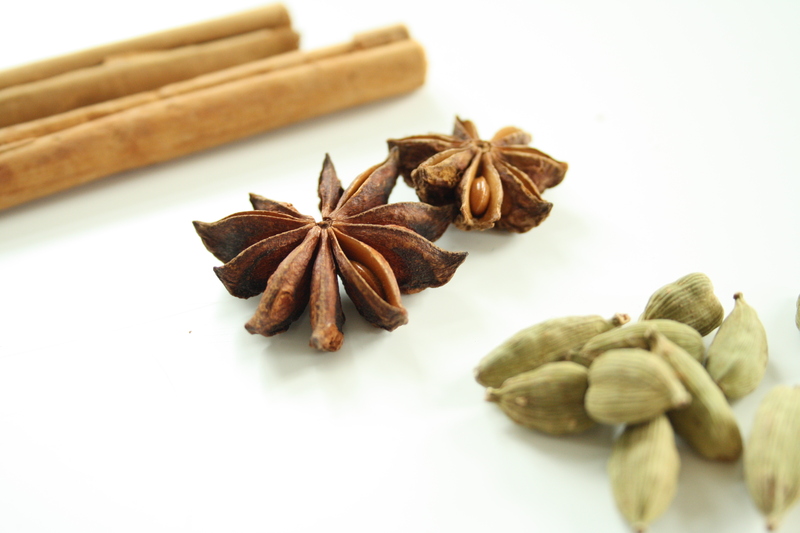 We’re in the realms of whole spices here people, for real punch in the face flavour. This is another one of those recipes that will make your kitchen smell amazing, for me that’s definitely reason enough to make it. Start with the pudding. You’ll only need the seeds from the cardamom pods, so crush each one lightly with the back of a teaspoon so that you can open the casing and remove the seeds. Add the seeds, together with the rest of the pudding ingredients, to a medium sized saucepan. Bring the mixture to the boil over a high heat, then reduce the heat to low and cover the pan (that’ll stop it developing the dreaded skin!). Cook the pudding for 25 – 30 minutes, stirring every now and then to stop it sticking. In the meantime chop the plums and put them in a small saucepan with the juice and spices. When there are only 10 minutes to go on the pudding, gently heat the plums until they begin to break down. 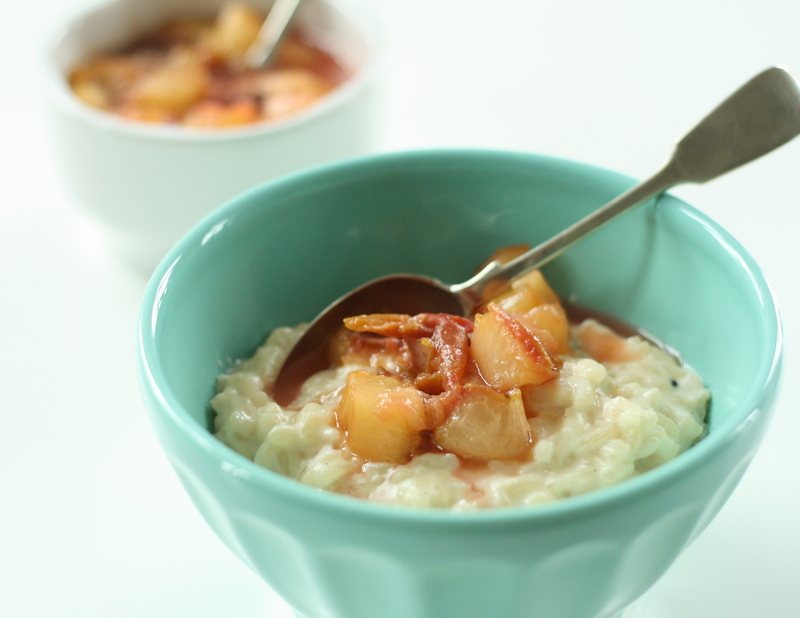 Serve the rice pudding drizzled with the plums and their juice. The pudding is also awesome when it’s cold and straight from the fridge. Enjoy! On stunning form once again! Wow, this looks like heaven in a bowl Christina. 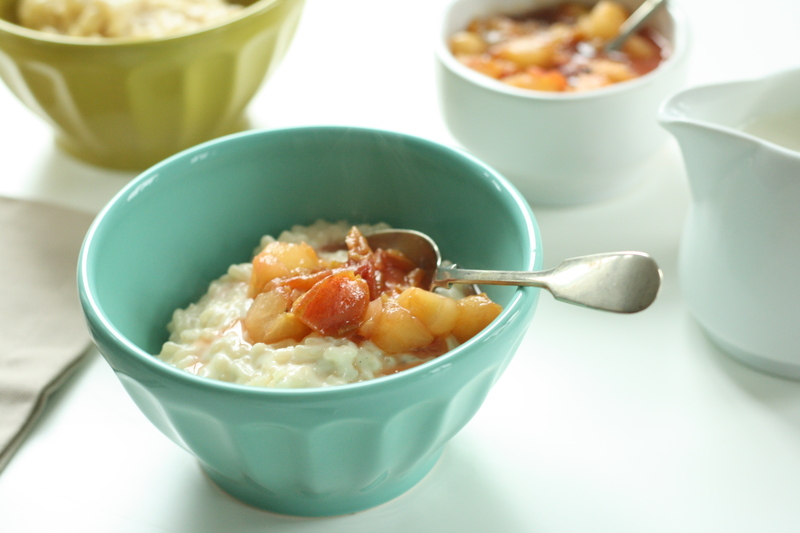 Rice pudding makes me think of my grandma, who would always take me to get some at the local diner on the late night. I think you’ve inspired me to try my own. Or at least you’ve given me some good memories. Thanks!! I’m so glad it brought up some good memories for you. I love that food can do that. For me the smell of baking wholemeal bread always reminds me of my grandma. It’s so tasty, the cardamom is a definite must 🙂 let me know if you give it a go! Hi Jane, I think it would fairly happily serve 4, as long as no one is too greedy! 🙂 I hope you like it!